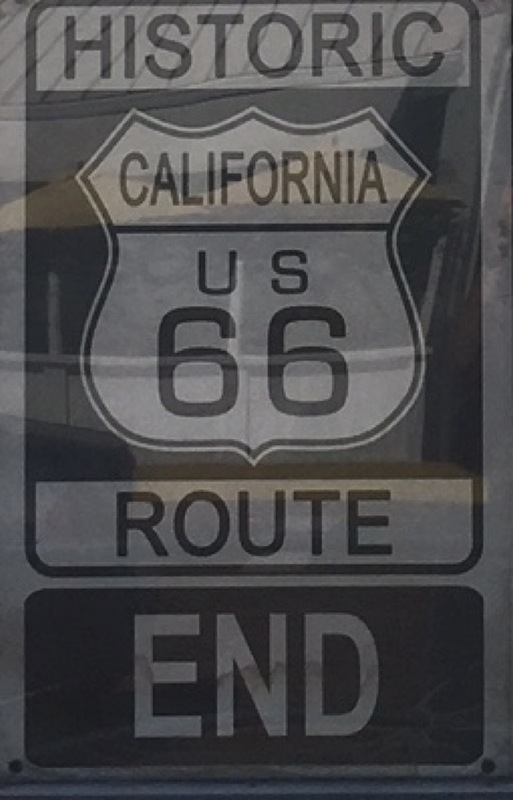 From New Mexico, to Arizona, onto Long Beach, California, we drove for 12 ½ hours. Driving into Phoenix, Arizona there is this section of cacti that looks like something out of a cartoon. 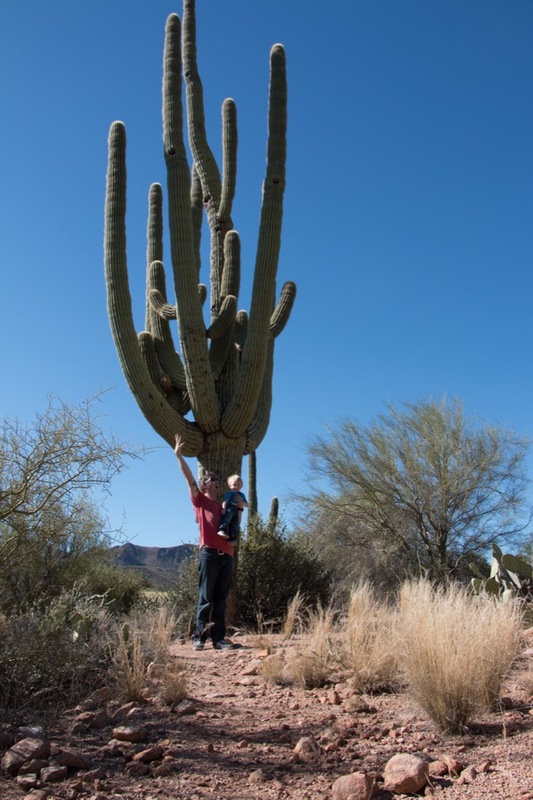 We pulled over here to let everyone stretch their legs and to check out the amazing cacti. There were several different kinds, and some of them were gigantic! JZ and I agreed that taking the little breaks of this nature, the ones where you go “pull over, I want to get a better look!” are what makes the road trip a road trip. Yes, we are excited for each stop, but it is also about the space in between, the journey. Those moments where you say “I’ve seen things I’ve never seen before”, are the moments to hold onto during all the instability of living this nomadic life. A late night dinner at In N’ Out seemed fitting before we quickly settled into our airbnb for the night. Sunday was another big day: Disneyland! 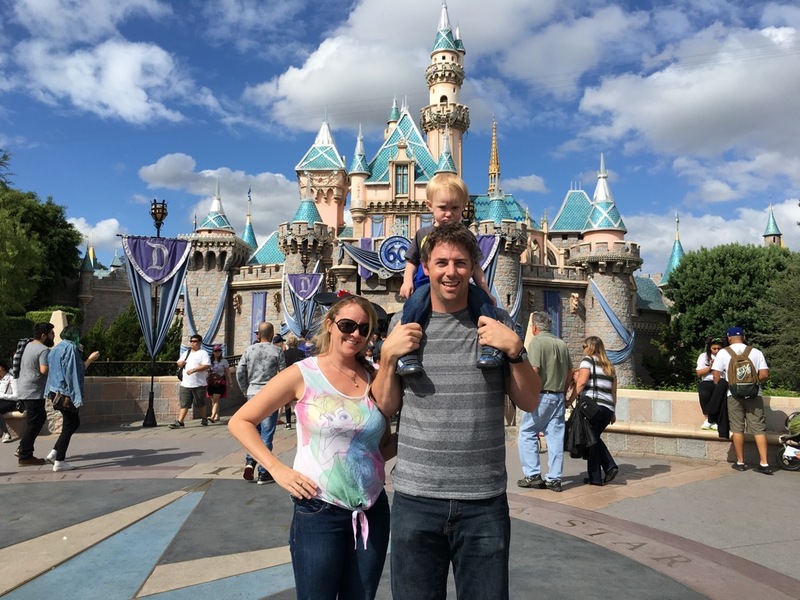 We took Little Monkey to Disneyland for the first time and we did it up big! We rallied in the morning and took him to the character breakfast at Goofy’s Kitchen, which I highly recommend. It is pricey, but it’s a sure way to get up close and personal with the characters. Little Monkey didn’t like them to get too close, but the characters were great about warming up to him. It also made him more excited for the rest of the day. Every time he saw Goofy walking around or in the parade he would squeal and point. And it seems like he’s got a soft spot for Minnie Mouse. Just like the zoo, we went marathon style at Disneyland; but this time we took a nap/dinner break for a few hours in the late afternoon. This was nice because we were able to check on the dogs, rest, and order pizza to our Long Beach house. We considered not going back but we are so glad that we did. Little Monkey really loved the light parade, and the firework show is extra spectacular this year because of the 60th diamond anniversary celebration. In addition to Disneyland, there was a lot to do in Southern California for us. You see Long Beach is my old stomping ground. I graduated from CSULB many moons ago. So like JZ in Seattle, I had many friends to see and many of them have little monkeys of their own now too. We got some great visits in with wonderful friends and it was great to introduce Little Monkey to those that hadn’t met him yet. Our activities included a day in Santa Monica, exploring the Santa Monica Pier and hanging with friends. We even ventured up to Pasadena to spend time with friends who treated us to “The Rise of the Jack-o-lanterns”, a sculpture exhibit made up entirely of jack-o-lanterns. 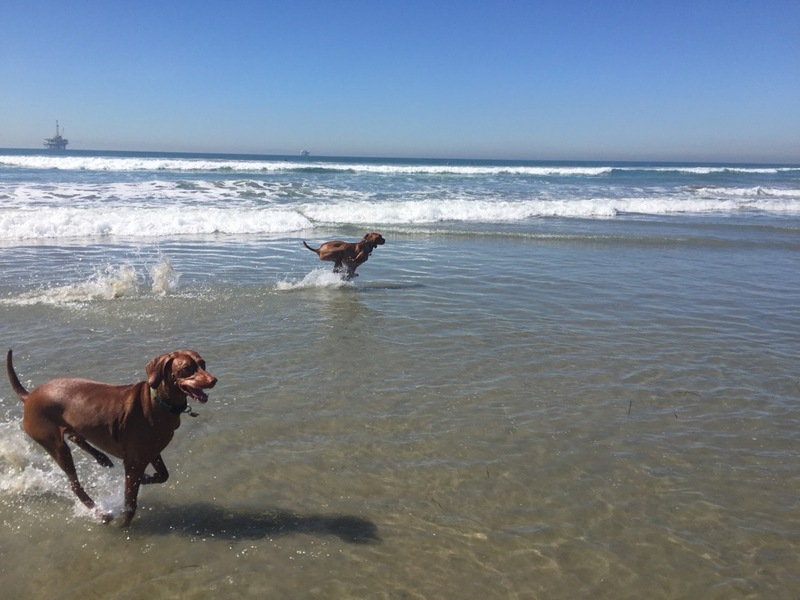 JZ made sure to take a lunch break swim in the ocean with us, and of course we had to take the dogs to their favorite dog beach in Huntington Beach. Visits to Southern California never seem long enough. I always feel like I could easily move back there. Someday, maybe. For now, it’s time to say goodbye and hit the road as our adventure begins to end.